Chris Darnell is joining The Harvest Group as a head harvester. Darnell—who helped a St. Louis area landscape and snow management company average a 19 percent increase in new sales each year—is invested in helping landscape professionals grow their businesses using modern sales strategies and leaving a long-lasting impression on the landscape and snow removal industries. Darnell continues to work at Bluegrass Landscape & Snow Management. Darnell joins founding Head Harvesters Bill Arman and Ed Laflamme, as well as other members, including Steve Cesare, Fred Haskett, Alison Hoffman and Cindy Code. The harvesters provide business offerings in the following areas: operations, HR, sales and marketing, communications, mergers and acquisitions, quality control and peer groups. LandCare promoted Jim Kisler to branch manager in its Tacoma, Wash., location. Kisler joined LandCare in 2015 as a business development manager in the NorCal region. Kisler has been involved in the green industry for more than 30 years, having worked at his grandfather’s avocado ranch in Santa Barbara, Calif., in high school, and then at a local nursery while attending Arizona State University. Central Turf & Irrigation Supply named Jeff Hume as general manager. Hume will direct Central’s store locations and expansion efforts in the eastern U.S., taking immediate responsibility for a growth initiative in the New England region. Hume brings more than three decades of industry experience to his new role at Central, including extensive experience in business operations and development, sales and marketing. While at BISCO (Boston Irrigation Supply Company), he held a series of progressive responsibilities, including the position of vice president. He also has in-the-field experience leading an irrigation system installation business. He is a graduate of Boston College with a degree in marketing. The Davey Tree Expert Co. appointed Tim Bushnell to arborist skills specialist for the Davey Institute arboriculture training program. In his new role, Bushnell will focus on the development of Davey’s skills trainers network centered on safety, new climbing gear, techniques and mentorship for field employees. Bushnell joins Davey with more than 30 years of industry experience and leadership. Prior to Davey, he worked for Sherrill Tree as a national account manager and production/sales arborist. He’s served as chairman for the ANSI A300 committee, contributes to the ANSI Z133 committee and was the head technician at the International Society for Arboriculture’s (ISA) International Tree Climbing Championship event for six years. Bushnell is an ISA Certified Arborist and is a Tree Care Industry Association Certified Treecare Safety Professional. Douglas Dynamics, manufacturer of Fisher, Henderson, SnowEx and Western snow and ice control equipment, appointed current COO Robert (Bob) McCormick to CEO and president, effective Jan. 1. James (Jim) L. Janik will transition from his role as the company’s current president and CEO to lead the board of directors as executive chairman. During Mr. Janik’s illustrious 26-year career at the company, Douglas Dynamics has grown from a privately held company with approximately 250 employees and two manufacturing facilities to a NYSE-listed public company with approximately 1,700 employees. The company has more than 20 facilities focused on manufacturing and servicing customers and sells products in 23 countries throughout North America, Europe and Asia. The International Society of Arboriculture (ISA) awarded Dr. Bruce Fraedrich the 2018 Award of Merit, ISA’s most prestigious Award of Distinction, which acknowledges Fraedrich’s service in advancing the principles, ideas and practices of arboriculture. Fraedrich was recognized during the opening ceremony of the ISA Annual International Conference and Trade Show on Aug. 5 in Columbus, Ohio. 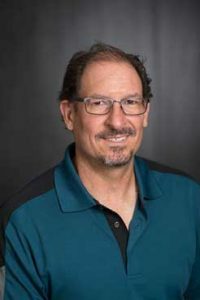 He holds a Ph.D. in plant pathology and is on staff at Bartlett Tree Research Laboratories where he currently serves as vice president of research. During his 42 years in the industry, Fraedrich has contributed to many advancements in arboriculture research and has been a lead volunteer instrumental in the development and revision of ANSI-A300 standards for the arboriculture industry and the accompanying best management practices by ISA.